Rabada picked up four wickets and the West Indian, along with Chris Morris bagged three wickets apiece. 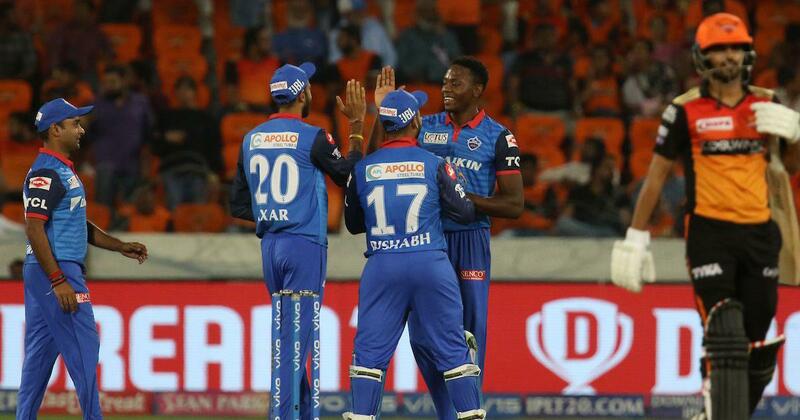 Speedster Kagiso Rabada led a clinical bowling display with a four-wicket haul as Delhi Capitals beat Sunrisers Hyderabad by 39 runs to go second in the Indian Premier League table in Hyderabad on Sunday. Pacer Keemo Paul (3/17) ran through the Sunrisers top-order before his pace colleagues Rabada (4/22) and Chris Morris (3/22) triggered mayhem in the middle and lower order. The home side suffered a batting collapse after 15 overs while chasing 157 for a win. The Sunrisers were 101/3 in 15.2 overs when Ricky Bhui fell to Paul but after that they lost seven wickets for the addition of just 15 runs. Morris took three wickets in the space of five balls in the 18th over as the stunned home crowd watched their side’s batsmen capitulating without much fight. They folded at 116 in 18.5 overs. At the halfway stage, the Sunrisers were 73/1 with 83 more runs needed for a win and they were on track. 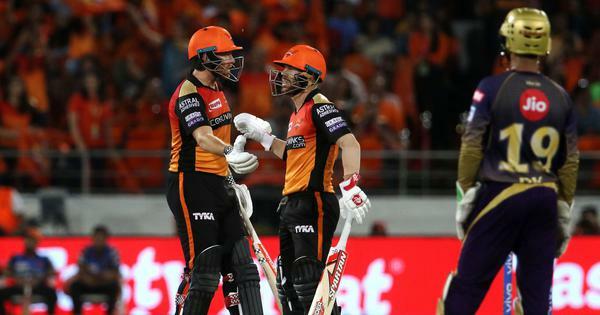 But the dismissal of captain Kane Williamson (3) off the bowling of Paul in the 12th over was the beginning of the pressure which began to pile on the Sunrisers. Earlier, young left-arm pacer Khaleel Ahmed grabbed three key wickets in an impressive spell to help Sunrisers restrict Delhi Capitals to 155 for 7 after the visitors were invited to bat. The 21-year-old took the wickets of openers Prithvi Shaw (4) and Shikhar Dhawan (7) as well as that of dangerous Rishabh Pant (23) while conceding 30 runs from his four overs. Senior pacer Bhuvneshwar Kumar returned with figures of 2/33 while leg-spinner Rashid Khan and Abhishek Sharma took a wicket apiece as the Sunrisers’ bowlers made it difficult for the Delhi batsmen to score runs. Shreyas hit five fours before he was dismissed by Bhuvneshwar in the 16th over while Munro was more aggressive with four boundaries and three sixes in his 24-ball knock. Delhi Capitals struggled with openers Dhawan and Shaw back into the dressing room by the fourth over with Ahmed accounting for both the key batsmen.